This post is the second in a short series on the, now infamous, article “After-Birth Abortion: Why Should the Baby Live?” by Antonio Giublini and Francesca Minerva. The article generated a good deal of controversy upon its publication last week. I noted this in part one. I will now consider the how the authors’ defend the two key premises of this argument. As we shall see, they spend far more time on premise (8) than they do on premise (9). The key move in Giublini and Minerva’s defence of premise (8) is an old one. It is to argue that: (i) anything that lacks a right to life can be permissibly killed; and (ii) only actual, not potential, persons have a right to life. This is pretty much what Tooley argued in his 1972 article “Abortion and Infanticide”, but the authors adopt slightly different definitions of the key terms “person” and “right to life”. Presumably then, a non-person is any entity, living or indeed non-living, that lacks this capacity. Some people might throw more into their definition of personhood (e.g. rationality), but this slightly more minimalistic definition is appropriate enough given the context. Since the argument is going to be that only persons have a right to life, and it is permissible to kill anything that lacks the right to life, we probably want to err on the side of inclusiveness in our definition. The authors’ themselves believe that their definition includes some non-human animals within the scope of personhood, but (controversially) excludes newborn infants. More on that anon. Tooley’s definition of a person was roughly “anything that conceives of itself as a continuing subject of experience”. This personhood criterion is clearly broader than mere sentience since it requires awareness of existence through time. And allthough not worded in the same manner, it may be that his definition amounts to the same thing as Giublini and Minerva’s definition insofar as a continuing subject of experience might be the only thing that can attach basic value to continued existence. Rights: An entity possesses a right to X only if they are harmed by a decision to deprive them of X. Right to Life: An entity possesses a right to continued existence only if they can attach some value to their continued existence and so be harmed by being deprived of that existence. One might complain that there some “stacking of the deck” going on here since the definition of person and right to life are so closely intertwined. The original paper is quite short though so presumably there wasn’t much space for engaging all these definitional subtleties. I’m sure if you want to criticise the argument you might like to go after some of these definitions. Anyway, at last, this brings us to the basic argument for the permissibility of killing non-persons. (10) It is permissible to kill anything that lacks the right to life. (11) Non-persons (even if they are potential persons) lack the right to life. (8) Therefore, it is permissible to kill non-persons (even if they are potential persons). There are two obvious lines of attack on this argument. The first targets premise (10), arguing that it may be impermissible to kill things even if they do lack the right to life. And the second targets premise (11), arguing that there is an important distinction between what we might call “pure” non-persons and non-persons who have the potential to develop in actual persons (potential persons). We’ll consider both of these lines of attack, and how the authors deal with them, next. Let’s look first to the attack on premise (10). Giublini and Minerva really only discuss one such attack (as far as I can tell). It is this: a living being ought not to be killed, even when it is a non-person, if it can derive a right to continued existence from someone else. In the context of the overall debate, this objection captures the idea that the parents or family of a foetus/infant may have an interest in its continued existence and so it would be impermissible to deprive them of that interest by killing the child. There are some, no doubt unfortunate, analogies that could be used to underscore this objection. For instance, one could argue that it is wrong to kill a person’s pet on similar grounds. It seems that the authors’ are willing to concede the force of this objection. They argue that parents and family of a newborn infant often do have an interest in keeping the child alive and so, in this kind of scenario, it would, of course, be wrong for anyone to come along and kill the infant. But they maintain that this doesn’t do enough for the pro-life position. In this kind of scenario, the impermissibility of the killing is contingent upon the interests of the parent. It is those interests that do all the heavy ethical lifting. If the parents have conflicting interests — which might be the case if rearing the child would cause great physical/psychological or economic harm to the parents — then the impermissibility might dissolve. In other words, any derivative right to continued existence that could be conferred on a non-person would not trump the (potentially conflicting) rights that actual persons have. In fact, the situation would be the exact reverse: the conflicting rights of actual persons would always trump the derivative rights of the non-person. (12) It is impermissible to kill a living being when another living being has an interest in its continued existence, i.e. a living non-person can derive a right to continued existence from an actual person. (13) But any such derivative right could be trumped by a conflicting right of the actual person (as may arise in the case of parent who would be harmed by the continued existence of their child). To this point, the objection has in mind the scenario in which the parents and family have an interest in continued existence, which is then trumped by a conflicting interest. But couldn’t other actual persons (e.g. the persons in the broader society) have an interest in keeping children alive that would in turn trump the interests of the parents and family? I’m not sure that this response quite gets at the objection I was making — which was about interests of all actual people in society, not the parents — but I take it that it still lessens the force of the objection: much will depend on what the interests of actual people are. Empirically, it may be that society’s interests would trump those of the parents, but that is an empirical not a conceptual point. So the basic argument-counterargument in (12) and (13) would remain intact. We turn then to the second possible attack on the permissibility of killing non-persons. This one accepts that killing some non-persons might be acceptable, but that potential persons are in a separate class. They can in fact be harmed by their non-existence and so do have a right to life. One way to think of this might be in terms of Don Marquis’s classic “future like ours” argument, which I discussed on a podcast some time ago. Unfortunately, the authors never speak to this argument directly, which is surprising given its prominence in the literature. What the authors do do, however, is consider some counterexamples to the general principle that, in order for an entity to have a right to X, they must both aware of and harmed by its absence. As they point out, there seem to be several cases in which a person is harmed by an action that deprives them of something, even when they were not aware of it. One example they cite is that of the person who buys a lottery or raffle ticket, which is then stolen, but subsequently (and unbeknownst to them) turns out to be the winning ticket. The authors suggest that such a person is harmed by this even though they aren’t aware that their ticket is the winning one. It hard to know what to say about this. While there is a harm here, there isn’t really a lack of awareness. The person is presumably aware of the theft and of being deprived of the possibility of winning the lottery, and so is harmed by the theft itself, irrespective of whether the ticket is in fact the winning one. Maybe the authors’ saying that there is an additional harm here in respective of absence of the money they would have received. But this isn’t clear and, unfortunately, due to the brevity of their paper, I can’t work it out. The other example they cite is that of the person who is harmed by their mother taking drugs while they are in womb because this subsequently compromises their quality of life. On the face of it, this seems like a bad counterexample to use here since it deals directly with the foetus (i.e. a potential person), which is the focus of this whole debate. But letting that slide, it does seem to work a little better than the first example since it does involves a clear case of harm coupled with a complete a lack of awareness (at least in the personhood sense of awareness). So, if you ask us one of us if we would have been harmed, had our parents decided to kill us when we were foetuses or newborns, our answer is “no”, because they would have harmed someone who does not exist (the “us” to whom you are asking the question), which means no one. And if no one is harmed, the no harm occurred. (14) If a person can be harmed by actions of which they were unaware, then potential persons have a right to life. (15) Potential persons can be harmed by actions of which they were unaware (the foetal drug abuse example). (16) But the example does not establish the key claim: the harm is only truly realised when the foetus becomes a person, so a potential person that never becomes a person cannot be harmed. Before moving on, three observations. First, premise (14) might well be false here anyway, it is my creation and it looks a bit odd. Second, the authors make some interesting comments about the asymmetry between the harms and benefits of coming into existence in support of their rebuttal (i.e. in support of premise 16). The comments are interesting because they seem to clash with David Benatar’s comments on this asymmetry, which I discussed before. Third, I do think this section of the paper could have been improved by considering something like Marquis’s future like ours argument, or Christopher Kaczor’s more recent defence of potential personhood arguments. Or indeed by offering some response to actuality arguments against abortion, which are also defended by Kaczor (an actuality argument being one that defends the right to life of the foetus/newborn on the basis of what it actually is rather than what it has the potential to become). Maybe these couldn’t be considered due to lack of space, but then the question arises: is a three-page article the correct place to discuss a controversial argument like this if its brevity then forces it to ignore significant counterarguments? So much for the authors’ defence of the claim that it is permissible to kill non-persons (even if they are potential persons). As you’ll recall from earlier, they also need to defend the claim (premise 9) that foetuses and newborns are not persons. Interestingly, for all their initial fanfare about drawing an analogy between the post-birth and pre-birth individual, they have surprisingly little to say about this. They seem to think it obvious that the foetus and the newborn lack the kind of self-awareness required for personhood. Their main comment on this important issue comes in the second-to-last paragraph of the article. There, they say that they have no idea when the threshold of personhood is actually crossed, but that no more than a couple of days or weeks after birth would be required to determine whether a child suffered from some abnormality that would permit killing it. This statement about abnormalities is odd given, as I pointed out in part one, constraining the permissibility of abortion in this manner doesn’t seem to fit with their overall argument which gives an unconstrained permissibility to killing non-persons. But ignoring that, the implication seems to be that the personhood threshold is not be crossed until at least a couple of weeks after birth. Is this a realistic point at which to draw the line? What we have here is the classic problem of drawing a categorical boundary across an underlying empirical reality that is inherently gradualistic. If we imagine a spectrum ranging from the newly-fertilised zygote at one end, to the fully mentally competent adult at the other, then it’s pretty clear that what was once a non-person does manage to morph into a person. But when we zoom in on each stage in that spectrum, there is probably no distinct point at which transmogrification occurs. This leaves us in a bind. Since the relevant moral status here is personhood, and since personhood is defined in terms of a certain kind of awareness, it is probably fair to say that birth itself not a morally relevant boundary. After all, there’s no reason to think that the passage through the birth canal magically bestows the relevant kind of awareness on the child. But that’s not to say that the relevant kind awareness is not obtained prior to birth. David Boonin, for instance, suggests that the threshold may be crossed when the foetus achieves organised cortical brain activity, which would be prior to birth (around the 25th week of gestation, apparently). Boonin, however, may be working with a weaker criterion than personhood when determining what possesses the right to life. The fact is, it’s really hard to say when personhood is achieved. This is because most of the informal “tests” we use to figure out whether someone is a “person” are based on observable behaviours (talking, making plans, remembering things etc.) which are typically absent in the foetus or newborn infant. But in this instance absence of evidence is not evidence of absence. And since we probably should err on the side of caution here, far deeper consideration of the empirical reality would be needed before we could even begin to say that after birth abortion was permissible. So that brings us to the end of this series. As I said at the outset, the primary intention here was to clarify the logical structure of the argument offered by Giublini and Minerva in their controversial paper. I hope I have succeeded in that aim. And while it was not my goal to heap any serious criticism (or, indeed, praise) on the argument, I think I have pointed out some weak points along the way. 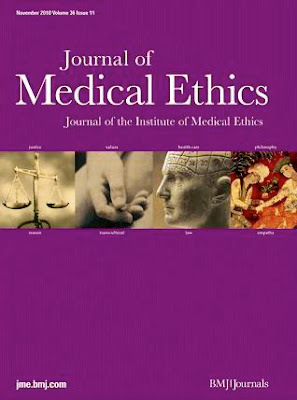 In particular, I have suggested that the argument would have benefitted from a greater engagement with the relevant literature (in particular with the arguments on potential persons and the “future like ours”-principle); and by a deeper consideration of the empirical reality (or lack thereof) in the transition from non-personhood to personhood. The purpose of this series is not [sic] to clarify the logical structure of the argument being made by Giublini and Minerva and offer some critical observations. Ah, thanks for spotting those.